Postponed - The feverish pace of this very colourful international drums festival is held in conjunction with the birthday of the Sultan of Perak Darul Ridzuan and gathers the best of musical talents in what is billed as the greatest mix of cultural exchange. (24 May, 2014) A "must-not-miss" experience of colourful parades performed by thousands of dancers ranging from all ages and ethnicities that will leave you breathless. (21 June, 2014) A programme that brings together people from all walks of life to celebrate Tadau Kaamatan dan Gawai Dayak as well as to foster unity and harmony of the 1Malaysia spirit. The programme includes cultural performances with traditional delicacies served to guests. (June & July, 2014) During this event, people from all around the world are invited to taste the durian which is known to be the "king of fruits". Different varieties of durians are priced respectively. (16 August, 2014) A programme that brings together people from all walks of life to celebrate Hari Raya Aidilfitri and foster unity and harmony of the 1Malaysia spirit. The programme includes cultural performances with traditional delicacies served to guests. 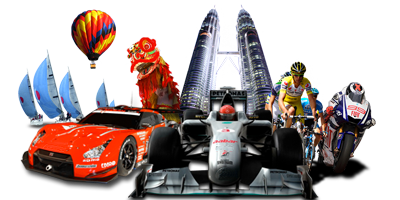 (5 - 11 October, 2014) Enjoy this thrilling motor race with unpredictable adrenalin-pumping action. Don’t miss this hottest race in town. Brace yourselves as your favourite racers zoom towards the chequered flag at full speed. 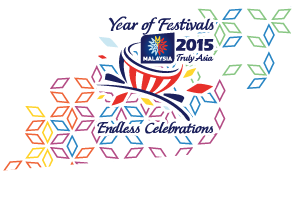 (22 - 26 November, 2014) An international festival showcasing the uniqueness and range of art and cultures from around the world as well as Malaysia through stage presentations, pocket performances, gala performances, artistic expressions, competitions and workshops.